As we approach any ethical issue, and especially those related to LGBTQ discussions, it’s imperative that we make a set of distinctions from the outset – distinctions between Christian ethics, pastoral care, and public policy. Christian ethics is the design of God, with expectations of character and action motivated by faith in Christ. It is defined by specific Christian understandings drawn from divine revelation. It’s a high and holy calling. Pastoral care is the care from Christians and the church for people, often when they have failed to live up to God’s designs. It involves compassion, understanding, and empathy – qualities which don’t define the essence of the Christian ethic, especially when it pertains to sexuality. Too often people reduce Christian ethics down to pastoral care, emphasizing only compassion or empathy, or reduce pastoral care to the ethic, emphasizing only the law of God. In the realm of public policy/law we are attempting to adjudicate rights, policies, and responsibilities in a pluralistic setting. Here, it is important to remember the difference between the right to do something and the right thing to do. Here, we are seeking appropriate strategies for societal issues. The Fairness for All concept is such a strategy. For a Christian, these three categories are not totally exclusive of each other, but they are not the same realities. They invoke different languages, expectations, and patterns of thought. 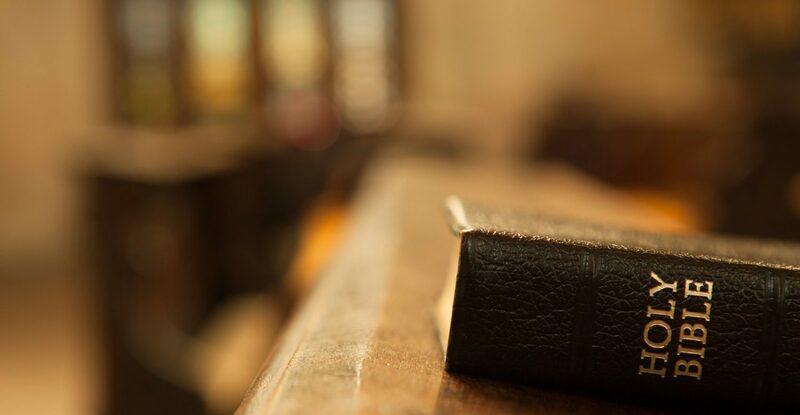 As a Christian ethicist and an evangelical Christian, I am committed to protecting both the freedom of religious convictions and actions in my and other communities of faith, while also protecting the civil rights of all individuals, even though their patterns of life may be contrary to my Christian ethics convictions. My approach here is a big picture one that contends that as a public policy strategy we can make a case for both freedom and rights, even when we lament the trajectory of those rights. Thus, I want to take exception to the verdict of the U.S. Commission on Civil Rights, in its September 2016 briefing report “Peaceful Coexistence: Reconciling Nondiscrimination Principles with Civil Liberties,” that “overly-broad religious exemptions unduly burden nondiscrimination laws and policies.” Specifically, I want to suggest that from Christian ethics and evangelicalism there are understandings that can enable us to affirm a robust freedom of religion with exemptions for churches, religious institutions, and individual believers, and at the same time affirm civil rights for the LGBTQ community. I’d like to unpack three primary understandings that Christian ethics and evangelicalism put at our disposal, and respond to a couple of anticipated critiques. 1. Ethical commitments and actions always flow out of a worldview, or a larger narrative about God, humanity, and the realities of our world. Worldview commitments are simply the ways we put our world together. They constitute a mental map or grand narrative out of which come our ethical obligations in life. Thus, for the evangelical community and other communities of faith that seek to embody particular practices contrary to prevailing cultural norms, the ethical patterns flow from worldview assumptions about God, human nature, marriage, family, sexuality, and the nature of religious communities. That is, they are not arbitrary commands from our God but reflections of larger understandings of the reality designed by God. The notion is that you can believe anything, but you can’t have the freedom to live it out. When this notion is applied, … [it] encroaches on something that is at the core of a human being – their deeply held convictions stemming from their worldview. The U.S. Commission on Civil Rights wants to divide action from belief when it states in the previously referenced report, “The recognition of religious exemptions to nondiscrimination laws and policies should be made pursuant to the holdings of Employment Division v. Smith, which protect religious beliefs rather than conduct.” The notion is that you can believe anything, but you can’t have the freedom to live it out. When this notion is applied, religious liberty is limited by the bifurcation of belief and action. This bifurcation encroaches on something that is at the core of a human being – their deeply held convictions stemming from their worldview. Such encroachment violates something near and dear to human beings, even if their convictions are not widely accepted in the society. Even when other people’s convictions are contrary to our own biblical commitments or are false beliefs and patterns, we still recognize that bifurcation of belief and action violates their convictions, rooted in a particular worldview. The limitation of religious liberty through the bifurcation of belief and action also frequently ends up actually establishing one worldview over others, hence violating the establishment clause of the First Amendment. It actually gives ascendency to a secular or naturalistic worldview at the expense of other religious freedoms. More than two decades ago, the late Father Richard John Neuhaus lamented what he called the “naked public square,” noting in the book by that name, “When recognizable religion is excluded, the vacuum will be filled by ersatzreligion, by religion bootlegged into public space under other names.” He went on to state, “Because government cannot help but make moral judgments of an ultimate nature, it must, if it has in principle excluded identifiable religion, make those judgments by ‘secular’ reasoning that is given the force of religion.” This in effect establishes secularism as religion. Let me give a recent example outside of Christianity. This enthronement of secularism at the expense of religious freedom was evident in another context early this year with the European Court of Human Rights. The case involved a Muslim couple in Basel, Switzerland, who refused to enroll their daughters in a school’s mandatory swimming class in which there would be boys and girls together. The couple was fined by school officials. In addition to limiting the couple’s religious rights that are rooted in their worldview, which is at the very heart of their personhood, the decision seems to have established secularism as the religion of European societies. No one’s civil rights would have been violated by an exemption from the mandatory mixed swimming lessons. As evangelical Christians we need to remind our society of the significant role that worldviews play in human life. This is a core Christian commitment but pertains to all religions and ethical systems. It is a concept that can be couched in nonreligious language as we speak to the larger society. 2. A second understanding at our disposal for supporting religious freedom and civil rights together is that the primary locus of Christian beliefs and ethics is in the Christian community, not in the larger society. This flows naturally out of my first observation that ethics is rooted in worldview. If this is true, then the primary locus for worldview expression in ethical thought and action is in the particular communities of faith that espouse and embody their worldview – our churches and institutions. As evangelical Christians we need to remind our society of the significant role that worldviews play in human life. We, of course, have a long history that might at first seem to contradict this postulate – namely the Christendom model of Christianity that dominated Europe for over a thousand years and continued in various ways long after the separation of church and state. In the Christendom model, Christian freedom was not only asserted, but Christian values and beliefs were given legal privilege. In fact, at times the church had more political power in society than the state. Citizens, whatever their worldview and beliefs, were mandated to live by the religious ethics expectations. Christendom in history is often raised as the clear reason why religious freedoms must be curtailed so as to not establish one religion over another. Remember that in 19th-century America, we had a kind of evangelical hegemony that functioned much like Christendom, despite legal separation of church and state. But there are clear resources in Christian history and in sacred Scripture that would call into question the Christendom model in which Christianity is given a privileged place in the public square. Historically, many of us would argue that attempting to impose Christianity on the larger culture actually undermines Christian vitality and ethics. In today’s world, Christian growth and vitality are not most evident in places of established privilege, but rather in places of overt opposition to the faith. China would be just one example of this. Moreover, the images that Jesus utilized to talk about Christian influence in the world were not metaphors of control or dominance, that is, images of establishment. They were rather metaphors of gentle influence from a presence within the culture, such as salt, light, and leaven. Those of us in the evangelical community want to emphasize that our way of life – our ethics – is rooted in a particularistic worldview on the one hand, but also in a very personalized faith centered in Jesus Christ on the other hand. Thus, the expectations for Christian ethical patterns will be most explicitly found not in the wider society and its social institutions, but in specific communities of faith. What this means is that Christians today should not be seeking a privileged establishment of their faith – the Christendom model – but rather the freedom to express their faith in the contexts that are most pertinent to their faith – their churches and various institutions. This doesn’t mean we bifurcate faith from our daily lives or privatize our faith, but our expectations for faith/ethics expressions will not be found in the social institutions of a pluralistic society. 3. A third commitment that can undergird a commitment to both religious freedom and civil rights is human dignity, from which flow human rights. As Christians, we hold to two fundamental tenets about human nature: we are wonderfully made and terribly fallen. The two must be held together as we reflect on larger societal issues. The “wonderfully made” understanding, of course, comes from creation in the image of God. Whatever may be entailed in the imago dei doctrine, a clear implication, found in several biblical texts, is the dignity of the human person flowing from the image of God (Genesis 9, James 3). This dignity is an intrinsic dignity, not a functional dignity that is dependent on how a person functions in this world. Even when people in their freedom choose paths of life antithetical to the Gospel and to biblical teaching, they nonetheless retain this intrinsic dignity. The protection of that dignity is essentially the Christian grounding for human rights. People intuitively sense this dignity as well as the accompanying human rights, even if they operate from other worldviews and frameworks. Even when people choose paths of life contrary to our faith, we nonetheless seek to affirm their human dignity, and from that dignity come certain rights within society. This puts us in the unusual position of affirming that one’s rights may even entail a right to sin. “[a]ll human beings are born free and equal in dignity and rights.” The various rights spelled out by the declaration are rooted in this intrinsic dignity of human persons. The language of dignity went on to find its way into the constitution of numerous countries following the lead of the Declaration. At one point during the writing of this document, UNESCO brought together a group of philosophers to explore the theoretical foundations for claims about dignity and human rights. In the introduction to Human Rights: Comments and Interpretations, A Symposium, edited by UNESCO, Jacques Maritain, a philosopher participating in the gathering, noted the following: “At one of the meetings … where human rights were being discussed, someone expressed astonishment that certain champions of violently opposed ideologies had agreed on a list of those rights. ‘Yes,’ they said, ‘we agree about the rights but on condition that no one asks us why.’” The philosophers could agree on the language of dignity and particular rights, but could not agree on the foundations for asserting dignity and rights. Thus, even when people choose paths of life contrary to our faith, we nonetheless seek to affirm their human dignity, and from that dignity come certain rights within society. This puts us in the unusual position of affirming that one’s rights may even entail a right to sin. Christians have at other times tolerated or even affirmed as public policy, though not as their ethics, policies that entailed freedom, dignity, and the common good with the caveat that choices alien to our faith would be involved. We have allowed for divorce laws, for example, that go far beyond what many of us would believe are the biblical and theological allowances. We have allowed this for sake of children and order in society. We allow for artistic expression in visual arts, music, and theater that passes beyond our Christian convictions regarding such expressions. Thus, theologically, we affirm a dignity that is translated into human rights, even when the resulting allowable actions are contrary to biblical teachings or diminish our voice in society as Christian salt, light, and leaven. All of this of course raises the conundrum of moral complicity: To what degree are we responsible for unethical actions by having some indirect involvement in that action? This is a highly complex discussion in ethics that involves a wide range of issues, from war (the original context of the discussion) to bioethics, to investments, to paying taxes, and the like. Answering this ethical question has frequently hinged on the moral actors’ proximity to the action in question. What can be said is that allowing for people’s freedom to act in ways that are unethical, but do not threaten the lives of others (i.e. criminality), is quite common. We frequently are indirect accomplices to actions we deem immoral through paying taxes or making financial investments. Allowing such freedom in society over sexuality issues is a strategic move, not primarily an ethical move, though allowing for such freedom does have theological grounding – namely, human dignity. Considering Fairness for All as a strategic move, I do not believe it means we are supporting lifestyles we consider sin. We are not condoning; nor are we enabling. We are merely attempting to find, in the public arena, a way to support religious freedom and exemptions while affirming human rights, in this case for a group with whom we differ significantly in ethical commitments and actions. Confident pluralism argues that we can, and we must, learn to live with each other in spite of our deep differences. It requires a tolerance for dissent, a skepticism of government orthodoxy, and a willingness to endure strange and even offensive ways of life. Confident pluralism asks that those charged with enforcing our laws do better in preserving and strengthening our constitutional commitments to voluntary groups, public forums, and certain kinds of generally available funding. It also challenges each of us to live out the aspirations of tolerance, humility, and patience in our civic practices. Dennis Hollinger is president and Colman M. Mockler Distinguished Professor of Christian Ethics at Gordon-Conwell Theological Seminary in South Hamilton, Massachusetts.